” Manuel Martinez, fled communist Cuba gave Oregon lawmakers an earful at a recent hearing. Martinez, who was imprisoned in Cuba for opposing the Castro regime was able to escape Cuba in 1962. “ They come here in those dog and pony show and cry that their going to protect people. You’re going to protect nobody! I want to know what is behind it? Do you know what is behind the problem we have in this country with it’s Marxism,” Martinez said. ” Future generations might find it odd that our society repeatedly gave people a stage to talk about important social issues based on nothing more than the fact that they once starred in a movie we liked. We wouldn’t mind, if celebrity causes were simply vapid or silly. But sometimes, they’re down right evil. ” In 2003, to celebrate 35 years of publishing a monthly magazine dedicated to Free Minds and Free Markets, reasonnamed “35 Heroes of Freedom”—innovators, economists, singers, anti-communists, pornographers, professional athletes, and even the occasional politician who contributed to making the world a freer place since 1968. These weren’t necessarily the 35 best human beings to span the globe. Richard Nixon, for example, was selected for encouraging “cynicism about government” through his rampant abuses of power. And, well, let’s say Dennis Rodman hasn’t aged particularly well. But the list reflected the happy, unpredictable cacophony that has helped liberate the world one novel or deregulation or electric guitar at a time. Our 45th anniversary has come along at a darker time. The post-9/11 lurch toward unchecked law enforcement power has now become a permanent feature of our bipartisan consensus, with a Democratic president now ordering assassinations of American teenagers and with millions of Americans unaware that the feds are combing through their telecommunications. Keynesians in Washington responded to the financial crisis of 2008 by ushering in a lost decade of government spending, sluggish growth, and the worst employment numbers since Jimmy Carter was president. And after an initially promising Arab Spring, whole swaths of the Middle East seem poised for a long, sectarian, transnational war. So it’s fitting that this time around we’re anointing reason’s 45 Enemies of Freedom. Again, these aren’t the worst human beings who bestrode the planet since 1968 (though Pol Pot and Osama bin Laden rank right down there). Some, like John McCain, are even genuine American heroes. What unites them is their active effort to control individuals rather than allow them free choice, to wield power recklessly rather than act on the recognition that the stuff inherently corrupts, and to popularize lies in a world that’s desperate for truth. Click here to cast your own vote for the biggest enemies of freedom. “The Chávez Frías family in Venezuela has amassed a fortune of a similar scale since the arrival of Chávez to the presidency in 1999,” said Brewer in an analysis published in their website. Time to head south Obama , there’s a new job opening . Venezuela pays better than the US and their chosen method of governance is sure to be much more to your liking . It’s a win/win for us all . Youviewed.com will even chip in for the moving expenses . Just make sure that you leave the White House furnishings and keyboards intact . A MUST LISTEN AND SHARE…. ” What you didn’t know was that we didn’t actually intercept all those missiles. After the Cuban missile crisis was officially “over,” Russia still had 100 nuclear missiles in Cuba. Since the U.S. didn’t know about them, and therefore hadn’t technically included those hundred in the deal, the USSR decided that they could legally “give” them to Cuba. 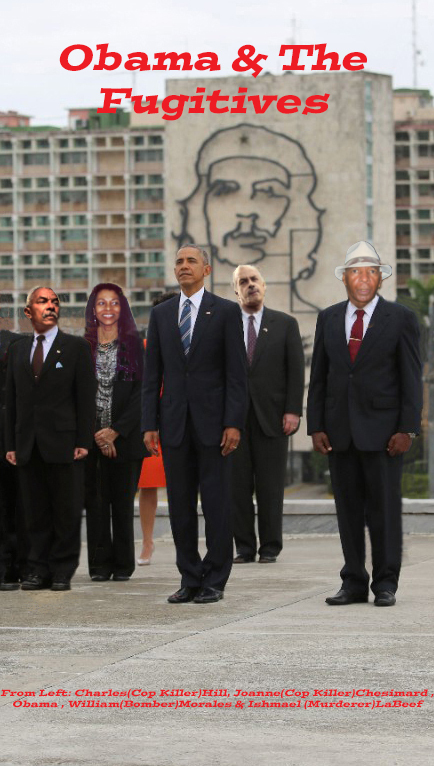 But when the Russian higher-ups visited Cuba to figure out the details, they quickly realized that Castro was balls-out-of-the-underwear crazy. During those first negotiations, Cuba had been left out completely. And, since they suffer from the nation equivalent of Short Man Syndrome, they were furious at the slight.